Learn about the effects of screen time one social development in children. Hear perspectives on best practices for screen time by Kathleen Crowley, Professor of Psychology at the College of Saint Rose, followed by a panel discussion with Nathan Graber, M.D., MPH of St. Peter’s Pediatrics in Clifton Park, Tobi Saulnier, CEO at 1st Playable Productions, and Sheri Dushane, NYS Credential Trainer and Child Care Professional. Click here to download the presentation from Kathleen Crowley, Ph.D. Professor of Psychology. 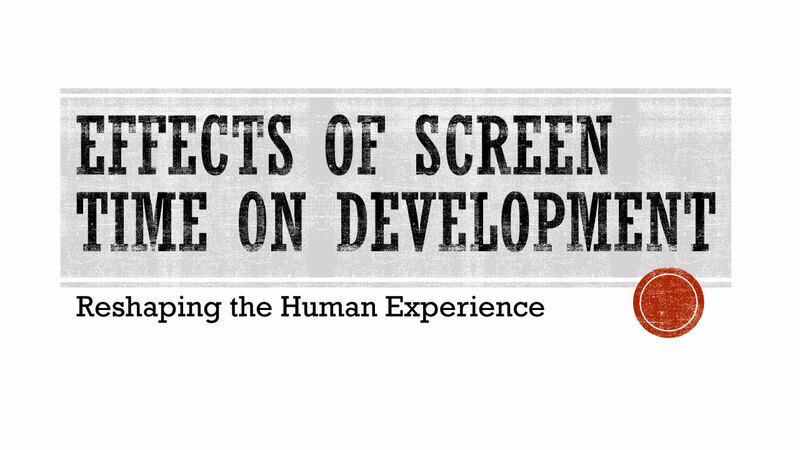 Learn about the effects of screen time on social development in children. Kathleen Crowley holds a Ph.D. in Educational Psychology from the University at Albany. She is a Professor of Psychology at The College of Saint Rose in Albany, NY where she teaches courses in child development, media psychology, the psychology of parenting, and cross-cultural psychology. She has presented research at dozens of conferences and has published in a variety of professional, peer-reviewed journals. In 2009-2011 she was awarded a prestigious Fellowship by the American Association for the Advancement of Science as a Science and Technology Policy Fellow at the U.S. Department of State in the Bureau of Democracy, Human Rights, and Labor. She also is the proud mother of two now-adult sons. • Project BELL (Building Emotional Learning and Literacy) received recognition from the Mental Health Association of New York State, Inc. (MHANYS) for promoting social emotional wellness in early childhood settings. Currently Sheri is the founder of Educational Design and Consulting, tailoring professional development experiences to the needs of individual clients. Nathan Graber is a primary care pediatrician with St. Peter’s Health Partners in Clifton Park. Dr. Graber received his MD from the Sackler School of Medicine at Tel Aviv University and completed his residency in Pediatrics at Jacobi Medical Center in the Bronx. He earned an MPH from the Mount Sinai School of Medicine where he also completed a fellowship in Pediatric Environmental Health. Prior to moving to Albany, Dr. Graber cared for patients in the Pediatric Emergency Department of St. Barnabas Hospital in the Bronx, and maintains an adjunct appointment at the Mount Sinai School of Medicine. He has overseen environmental public health program at the New York City Department of Health and Mental Hygiene and the New York State Department of Health. He has worked on a variety of public health topics during his career and has served on advisory groups for the US Centers for Disease Control and Prevention and the World Health Organization. Dr. Tobi Saulnier is the CEO of 1st Playable Productions, a game studio that creates both entertainment and educational games. She has perspective both as a developer of games for good, as well as a mother who has had to manage screen time and content issues with children from primary through their teenage years. She sees many benefits of certain game experiences on child development, while also encouraging active parental curating of content and setting of boundaries. Her children are now young adults who have mastered managing their own screen time to not interfere with school and work.